Crane Lettra 110# cover in ecru. 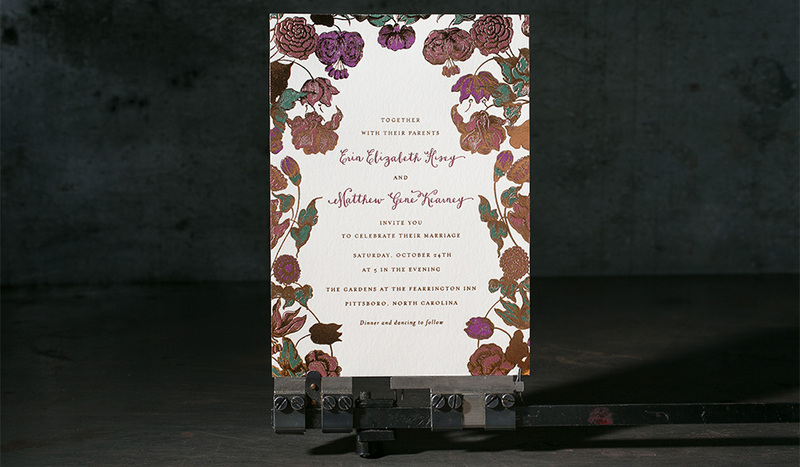 letterpress printing + foil stamping. 3 letterpress inks (349u + 201u + 255u) + copper shine foil. printed on our Heidelberg Windmill 10 x 15 + our Kluge. 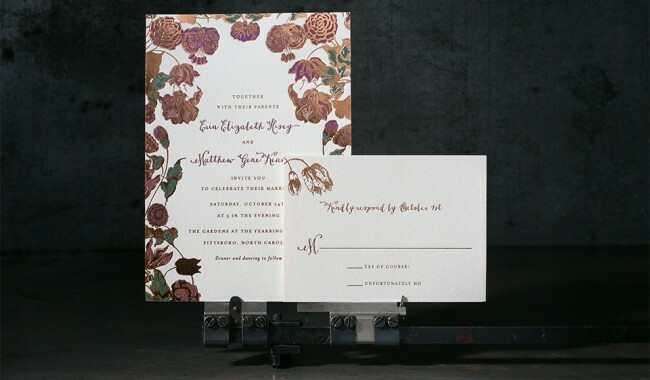 the letterpress wedding invitation (5” x 7”) and reply cards (3.5″ x 4.875″_ Erin and Matt love old books, and wanted their invitations to be reminiscent of illustrations seen on a book by Proust. For color inspiration, Erin brought in a beautifully ornate, jewel-toned living room photo from Veranda magazine. In other words, a dream client! 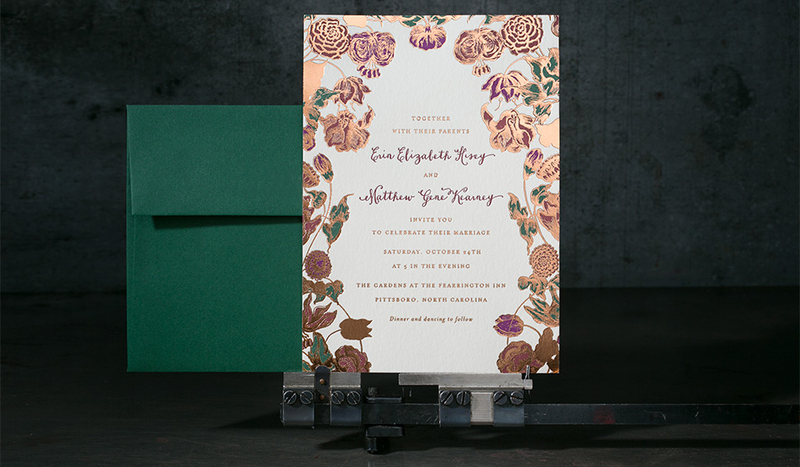 Erin and Matt’s save the dates featured a green and navy marbled pattern like on the endpages of their favorite novels, with copper foil lettering, and for their invitation, we worked with vintage-styled copper foil flowers framing the text. We played with lots of different illustrations and layouts, and settled on this one for its lush garden-like feel.